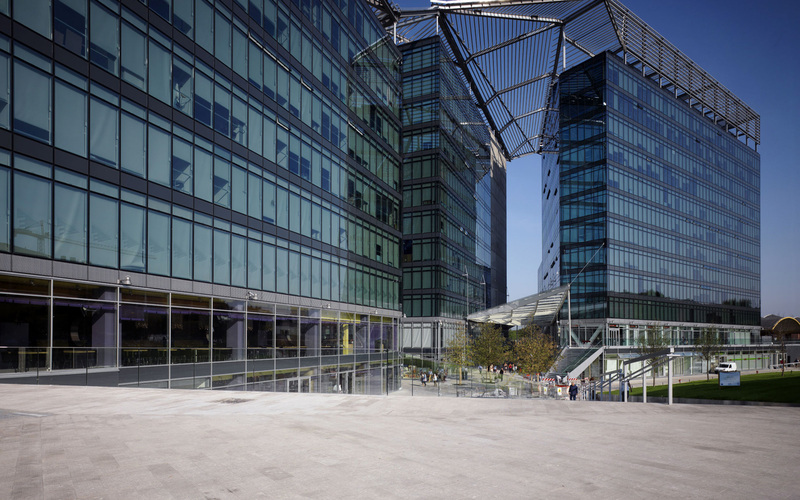 Bologna City Council commissioned a new 33, 000 m2 office building to house their Municipal head offices. They needed to bring together 1, 000 employees currently scattered in 21 locations throughout the city. The new building is situated behind the central train station in the Bolognina district on the site of the former fruit and vegetable wholesale market. The project seeks to upgrade the area and re-connect it to the city centre. The design concept is to break a single mass into three distinct blocks destined for different activities. The three blocks of different heights are unified by a folding shading roof, a four storey atrium entrance and a new sloping public space. The programme includes space for shops, offices, services and sports facilities. 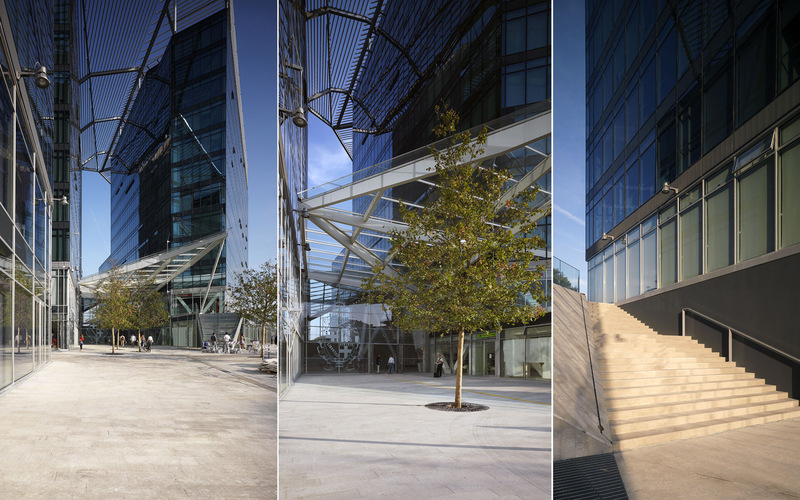 For this Building Margraf has furnished all the outdoor flooring (about 4000 square metres) in marble Lipica Fiorito and Lipica Unito. Lipica, in the variety Fiorito and Unito, is a frozen resistance marble, coming from the owned slovenian quarry.